As an admin of your site, you might want to lock the post edit facility for certain users, individual post or even want to lock any post edit at a certain scheduled time. The post lock features in the latest version of WP User Frontend Version 3.0.2 enables the user to do just that. Apart from having a WordPress website, you will be requiring the following plugins to allow the admin of a site to lock post edit. Note: You will require the v3.0.2 or above of WP User Frontend to be able to get this lock post edit feature. Also, the admin can update or completely remove the hours of locked post edit anytime they want. Navigate through Dashboard → Users → All Users and choose the user you want to lock the post edit feature for. Scroll down the profile and there you will find a section named WPUF Post Lock as seen above. Simply select Yes from the drop-down menu of Lock Edit Post and any post posted by that user will be uneditable after that. This is how that user's post looks like after he posted a review post. When the user clicks on Edit, the message seen above is displayed on the screen. This confirms that the admin of the site has locked the edit post feature of that particular user. In the same way, the admin can lock post edit option for all the users. Not just for individual users, an admin can lock post edit option of an individual post as well. Simply navigate to Dashboard→Posts→Add New or choose an existing post to lock the edit post option of that individual post by tick checking the Lock Post box on the right as shown in the image above. Now, as you can see in the image above, a message is being displayed when you click on the edit option of that particular posted post and the user is unable to edit that post anymore. 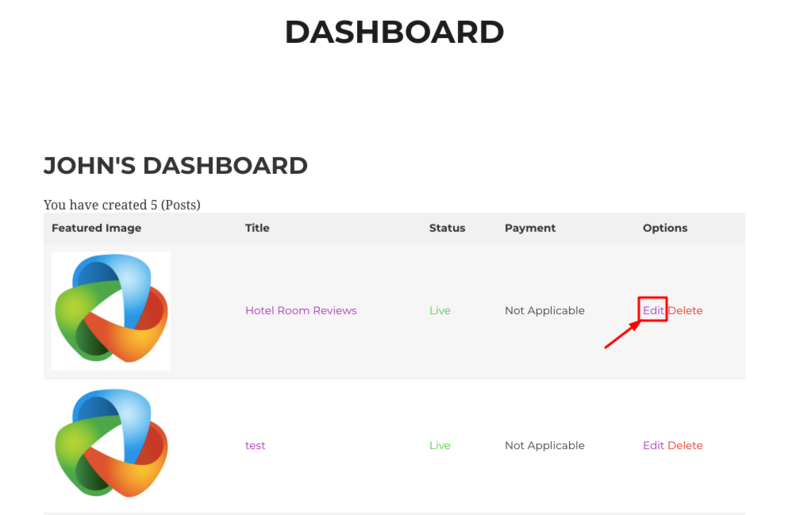 If you are looking to remove the edit option of an individual post after a certain hour of time, you can also do that as well in the latest version of WP User Frontend of post forms. To lock user from editing a certain post after a certain hour, navigate through WP User Frontend → Post Forms → Settings → Edit Settings and then set the hours after you want to lock the edit option of the users of that post. Once a post is posted, the user is able to edit that post within the hour frame the admin has allowed him to edit it. 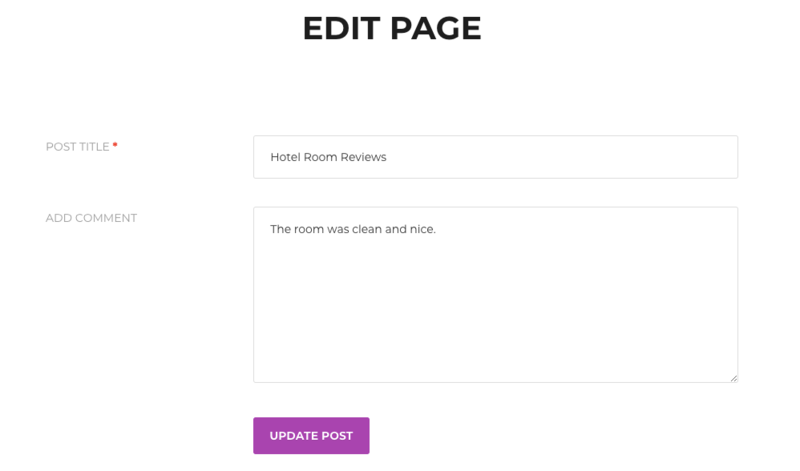 As it can seen above, the post is editable right now and the user can edit or update the posted post. Once the hour frame set by the admin is over, the user will no longer be able to edit that post as it can be seen above with the message clearly indicating that. Hope this doc was helpful enough in demonstrating the Lock Post Edit feature of WP User Frontend v3.0.2. For any further queries contact our support team.